VIEWS and VALUE are combined in this waterfront gem! Picture your family - cozied up by the fire at the lower deck and fire pit situated OH SO CLOSE to the lake! Just a few steps to the waterfront where you can explore the lake right at the bottom of the lot. This waterfront home at popular Patriot Shores is on the market at a GREAT price - and READY for YOU to move in to before the next lake season! (Dock at community access will transfer with COE approval!) "Live the lake life" in this almost-new 4 bedroom, 3 bath home, built in 2012 - but LOVINGLY maintained, with great views of Rough River Lake! Featuring the ever-popular 'main floor master' on the main level that includes a HUGE walk-in closet and a sitting area that whispers "curl up with a good book right here!" Or if you need a quite home-office, this is the sweet spot you've been looking for in a lake house. 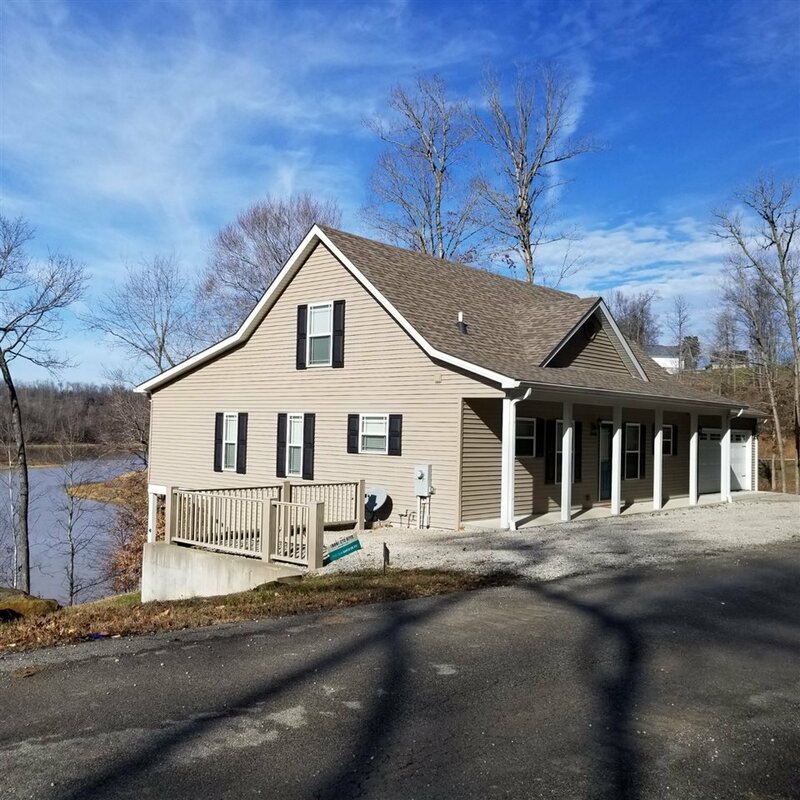 With windows and covered deck facing the lake just off the bedroom, you can easily enjoy great views and late-night drinks overlooking the lake just steps from the master suite;) Check out the virtual tour for more info!! Listing courtesy of GREATER ROUGH RIVER REALTY GROUP. Selling Office: .